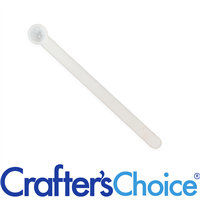 You Save $3.01 by purchasing this kit rather than buying the items separately. 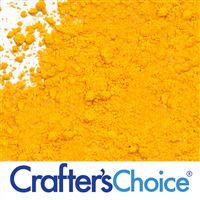 COMMENTS: This powder sample kit was great and easy to use. The colors are so bright and vibrant. I would recommend this for someone starting out. COMMENTS: I used this product to make bath bombs. I liked the brightness of the colors. COMMENTS: These were just the right size to decide if it's what I wanted. I know people complain about powder left in the bag but personally I just pour a little of my slightly moist baking soda in the bag and shook it up to get it all out so I'm not sure why everyone loses products in bags. COMMENTS: Perfect for all my product projects!! COMMENTS: I tried these in bath bombs, color was great. Easy to add in. COMMENTS: A little goes a long way. I was able to do several batches of bath bombs with just these samples. I definitely will buy them again. COMMENTS: These lakes are just what I expected. Perfect and concentrated. Strong stuff here.. Be careful when opening the bag. Stuff was already a bit on the seal on the seal of the bag. I had blue on my hands.. It dyes it but after a couple washes no worries. This is when I was just doing a test with water.. I wear gloves when making bbs. COMMENTS: This was my first time using these powders and I am very pleased! They worked beautifully in a bath bomb and displayed vibrant colors (I use a lot). The amount you get in each packet is a generous amount for sampling. I make small batches so one packet alone lasted me for 5 batches. Does not leave a ring around the tub (and trust me when I say I used A LOT). Made the water a solid, uniform color. COMMENTS: They work just as described, and give nice bright hues! COMMENTS: I was so happy with this sample pack. There is enough product to use in a lot of products. COMMENTS: In love with is mica colors. Everything blended so well. I used this product for my bath bombs and cold progress soap. Very, very impressed with is product. Will be ordering again. "Nice set. Great way to get some mixed color bombs"
COMMENTS: plenty here to make several bombs. great way to play with color and find what you like. COMMENTS: Absolutely loved the colors that came out of using this sample set. I was originally using liquid color but will never do that again! COMMENTS: These work great in my bath bombs. A little goes a long way. COMMENTS: Works awesome in my bath bombs! "Wonderful Colors - like how they perform." COMMENTS: I love this sample set. Will be ordering larger size soon. Worked perfect for my bath bombs and fizzies. • Easy to blend in. COMMENTS: I love these color powders for bath bombs. They make beautiful colors that don't stain. A little goes a long way. COMMENTS: Being that I was new to using colorants, I started with this sample pack for my bath bombs. It was the best thing to do. I could see how the colors react. Love the colors and I am still using them. "Great amount in the sample packs!" COMMENTS: I absolutely love the sample packs! You don't need a lot of product for certain recipes, so these sample packs are great for making my handmade bath and body goodies! Primary colors are so vibrant and mix perfectly. So many possibilities. "A festival of colors "
COMMENTS: I was at first hesitant to use this product, but it has fast become my favorite colorants. It never bleeds,stains or fades. COMMENTS: great vivid colors! great for bath bombs and Cup cake fizzys. make sure you have gloves on before you handle color packages because the color will stay on for a few washes if you get it on your hands directly. "Great color sample for my bath salts"
COMMENTS: I generally use natural colorants for my soaps but these colors work great for bath salts. A little goes a long way. Make sure to put something down on your work space and wear gloves. This does tend to stain but can be cleaned off your counter tops with a little scrubbing. COMMENTS: Love the sample size. Great bath bomb colorants. "Great in my Bath Bombs"
COMMENTS: Beautiful, vibrant colors for my bath bombs! Very happy with this set and will purchase more! COMMENTS: These colors are nice and bright in bath bombs! No sulfur smell and due to being powder, my liquid amounts don't have to be adjusted! I just wish there were a couple more colors! COMMENTS: These are so great for my bath bombs. A little goes a long way! "Nice way to sample colors"
COMMENTS: This was a great way to sample colors. When I made my bath bombs I thought the colors were a little muted however instead of drying lighter they became more vibrant in the drying process and the water is colored beautifully! COMMENTS: I'm so glad WSP gives the chance to try samples like this. I was able to make a few batches of bath and mani bombs and they preform wonderfully! The bombs and water are so vibrant. They mix well too, I achieved a deep royal purple tone with them. They left no residue on my skin nor the tub, and I used it heavily in one batch. I'll definitely be ordering the full sizes! COMMENTS: Beautiful colors that work perfectly in bath bombs! COMMENTS: I like the brightness of these colors when they are used in my bath bombs. It's kind of hard to mix the powders to get other colors though. They work best for me if I'm using the color that is just indicated on the package. COMMENTS: When I received my order today I had forgotten I ordered this sample kit to try in my bath bombs. I fell in love right when I opened the box. The colors are brilliant and made me feel even more like it was Christmas lol. I have yet to tear them open and use them but I am excited to try them. WSP has not disappointed me so far and fully expect that these colors will make my bath bombs da'bomb of the neighbor. COMMENTS: First time using colors in my bath bombs.. These were simple to use and easy to mix into my batch. I easily mixed colors to come up with other ones and it was just very simple! • Powder is clump free! COMMENTS: These add a nice pop of color to my bath bombs. "These have made my life so much easier"
COMMENTS: Great way to try several colors before buying a larger quantity. "Beautiful colors for bath bombs!" COMMENTS: These are quality colors for bath bombs that do not leave color in the tub when used. This was my first time purchasing any colorant to go in my bath bombs, and I liked that I was able to sample all the colors. They blend easily to make whatever color you need and I would purchase individual colors in larger quantities again. COMMENTS: This was a nice way to try out the bathbomb colors. The colors work great in cold process soap, but please note that the suds will be tinted (red has a light pink suds). The colors will be great in bath bombs, which is what they're for, but also in children's soaps. COMMENTS: I used this when making bath bombs with my grandchildren, ages 6 and 8. They had so much fun! The colors are beautiful and vivid. The bath water is tinted a lovely color, but no ring remains. They asked for other colors, particularly green and purple. COMMENTS: I bought the sample kit and used for bath bombs & bubble bath bars. A little goes a long way for very nice colors. My only critique is that the samples come in bags, not jars, so they are rather messy to use and the bags are kind of tough to reseal. All in all, a great product that I will buy again. COMMENTS: I've used these bath bomb colors for bath bombs & scrubs with great success. I add a little for a very nice, light color or a little more for a bright, deep shade. A little goes a long way. I love these colors...I just wish there were more "bath bomb" colors available, as I prefer to use them as I know that they won't stain the tub & I'm unsure about using other pigments in bath bombs. Overall, I love them. COMMENTS: These colorants are amazing. They incorporate perfectly with the bath bomb mix leaving beautiful results. I purchased as a sample set and I am totally thrilled with the results. COMMENTS: The colors are exactly as shown, and a little goes a long way. Will be buying more, BUT BIGGER! COMMENTS: They are very beautiful color on bath products, also doesn't stain bath tub! COMMENTS: Wonderful collection of colors. Love the samplers!!!! "I LOVE WORKING WITH THESE POWDERS"
COMMENTS: I can't brag enough about these amazingly concentrated powders. I am so glad to have found them. NOW WHAT WE BATH BOMB JUNKIES WOULD LOVVVVVVE TO HAVE,,,IS A MUCH WIDER SELECTION TO CHOOSE FROM!!! IT IS DIFFICULT TO MIX THEM TO ACHIEVE CONSISTENT COLORS WITH EACH BATCH BECAUSE OFTEN,,,I JUST ADD A PINCH MORE IF THESE LIMITED SHADES,,,BUT ITS TOO IFFY TO MATCH EACH BATCH. PLEEEEEASE OFFER MORE COLORS!!!! COMMENTS: Very easy to use. Nice color. New at bath bombs but seems to be working well. "This sample kit lasts forever!" COMMENTS: This is more than just a sample! You only need a pinch to get great color! Amazing! COMMENTS: It's perfect for playing with color in the different kind of products: soap, liquid soap, body butter, body milk. If you've never tried add colors to products, this kit it's a good starter. COMMENTS: I used this for the first time in bath bombs. I mixed the red and blue to make purple and the blue and yellow to make green. 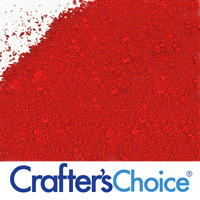 I know now that you do not have to use much of the powder at all especially if you want to create light or pale colors. COMMENTS: I like all the colors in this sampler kit. They work great on my bath bombs! I will buy more. COMMENTS: I love these bright, bold colors. A little goes a long way! COMMENTS: This was perfect for playing around and figuring out which colors I really wanted to order in larger sizes. The amounts were generous enough to color several batches of products. COMMENTS: Nice way to sample all the colors they have. I liked every single one. They are not exactly natural colors but they are used in such small amounts that i wouldn't complain. COMMENTS: I got samplers of every color. I am so glad I got more than one color of each and I want more! I hope WSP expands it's bathbomb color range soon. These are perfect to color water and they don't stain the bathtub. I would like it if there were more colors to choose from - it's hard to get an accurate color mix. But hands down these are the best colors available for doing bath products. You could probably use them in scrubs as well. COMMENTS: Excellent value for the price! A little color goes along way! "Great way to try out the colors!" COMMENTS: Love this sample set! The colors are beautiful! COMMENTS: LOVE THESE! Wish I had bought them sooner! Doesn't take much to color either. "Great color outcome, and so easy to use!" COMMENTS: I purchased these color, never using color before. I was so pleased that it was user friendly. The colors were "perfect" for the bath salths I used them for. Definitely ordering again. COMMENTS: I really love these colors! They are easy to mix in my bath bomb mixture, you can use a little or a lot to get the color you want. I really like the red, I made some Bubble Gum fragrance and I just used a little and it really did give me the bubble gum pink I wanted, then I made Fruit Loops and use more and got the red color I wanted. Plus you don't have a tub ring or worry if it is going to color your skin. I got the sample size, but I will be buying the bigger jar next time. COMMENTS: I used this sampler before purchasing the individual bath bomb colors. WSP's bath bomb powder colors dissolve well and don't leave a tub ring. A little goes a really long way, and you'll be surprised at how long these little baggies last. Do take care with the blue, since it's extra strong and only seems to get bluer in the bath. My only criticism is that it can be difficult to remove the powder from the bags, and it can get messy (or messier!) than it has to be. I'd personally prefer tiny, lightweight jars. Now I use the full sizes (which come in jars) every day! COMMENTS: Love, love, love!!! Super easy and a little goes a long way! Definitely will be buying more! "Color Sampler Powders - Bath Bomb Colors"
"Very nice and strong colors"
COMMENTS: I use these colors when doing my bath bombs and I love them! They are really strong and nice. I will keep on buying these. I just need to use gloves when using these colors otherwise they do stain all my hands, lol. Definitely worth your money! "Nice colorant for bath bombs"
COMMENTS: Acheives nice colors, and can create the fun effect of coloring tub water. Does not stain the tub or skin. Great value. COMMENTS: I like the sampler although I use the blue the most but I find that a little bit is more than enough. I am still learning color and the little plastic 1 ml scoops is what I use to measure the colors. The color videos are very helpful and it seems that rewatching them over again helps me understand how to use them the best way. Thanks for the videos! COMMENTS: Colors mix easily for different shade. Very little is needed for great results. Turns the water a pretty shade. I will purchase these again. • Very little powder needed. COMMENTS: I know these say bath bomb colors but the packaging says safe for general cosmetics so I use it in my soaps and lotions too. The color is amazing and bright, love these. 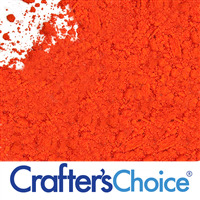 "Great colorant, easy to use"
COMMENTS: Used this with bath bombs and color mixes very easily. Very little is needed to get results, and doesn't seem to stain tub. Great colors, thank you WSP! COMMENTS: These are excellent bright colors for bath bombs. A little goes a long way with these. I enjoyed trying out the sampler. They do not stain the tub which is great. COMMENTS: This was my first time ordering from w.s.p and my first time trying this product, I have to say I was pleasantly surprised, at how easy these were to use, and the colors were so vibrant, made my bath fizzys look amazing, they looked as good , if not better than some famouse retail bombs I have seen. I will definably, be coming back here to buy from again, thanks ,W.S.P. you have a new lifetime customer! COMMENTS: i got this first when i was trying out the colors and fell in love how they acted in the bath bombs so i got the bigger jars! COMMENTS: Great size packages!! These colors are vivid!! I will order more right away!! "Will make your items POP"
COMMENTS: I love these colors. I use them for making bath bombs and my foot soaks (bath salts). They don't leave a satin on your tub, and a little goes a long way, After trying the samples I ended up buying the larger jars. COMMENTS: Just a little made very vibrant colors in my bath salts. So easy to use. • Mixing colors to make more options! • Bag is hard to reseal. COMMENTS: I ordered the samples to try them out and they were great. Very easy to use, and they mixed really well. My granddaughter helped make the Fizzies and she loved the colors. We will be ordering more of this product. "This is definitely the way to go! " COMMENTS: I love this sample set, I received so much more than I expected, and all the colors were beautiful and so easy to mix! "great to have a variety!" COMMENTS: Love the sample packs. I am not a big soap maker but the amount in these are perfect! easy to work with! COMMENTS: a little does go a long way! this is a great sample pack, you can mix the colors and make some pretty cool colors. i am new to making soaps & body scrubs. with this being priced so good, i wasnt afraid to mess up and try to make new scents. i am gonna buy more and play with these colors to see what else i can make! COMMENTS: i always get the sample kits of colors when they are available. you get a lot for your money because all of the powders go a long way. COMMENTS: This sample kit is perfect for trying out new colors and what will work for your products. Not a lot is needed to start getting a color and then just add more to get your desired color. I love them! COMMENTS: This sampler is a great way to try the colors. COMMENTS: I used these in my bath bombs and they are perfect. A little goes a long way. I am able to mix the powders to make more colors before adding to my bath bomb mix. Colors the bath water slightly. COMMENTS: I really like this product! A little goes a long way. I love how it looks in my Bath Fizzies and also in my Bath Salts. I also love how the color looks in my bath water! COMMENTS: These worked well and disbursed well. I'll definitely be reordering. COMMENTS: These bath bomb colorants are excellent!!. No more stained tubs... YEAH!!! Seriously these colorants are powerful. You only need a little to make your bombs. Also please remember to wear gloves with this. I opened up the packages to test and ended up with a rainbow of colors on my fingers. COMMENTS: These colors are great to tint bath salt. A little goes a long way with these colors. They can be mixed together too. I've mixed up purple and green with great results. But remember, you only need a tiny bit! "Makes the bath water the color of the fizzie." COMMENTS: I am asked to make these fizzies mostly because people love the way the water is the color of the fizzie. It is easy to use. COMMENTS: I love the quality and colors of the powders. Each color is nice, vivid, and stayed true. Having them in a sampler pack is especially handy. COMMENTS: These colors have performed excellent in everything I have put them in from soaps to salts. I have also mixed the colors to make different shades. A little goes a long way. COMMENTS: Products turned out so pretty with these colors. "Adds wonderful color to bath bombs and bubble bars"
COMMENTS: I've tried using liquid colorants before without much success. I am so happy I found these colorants! A little goes a long way! They color your bath bombs beautifully and don't leave a colored ring around the tub, which I like. I highly recommend these. "Can you sell products made from bomb colors? Are they FD& approved?" 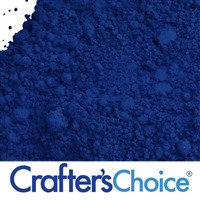 Staff Answer Lake colors are FDA approved but do need certification in order to be sold. The only size that is batch certified is the bulk size of 176 oz. This comes directly from the manufacturer and each bulk size bag is certified.
" Hello, Are these colorants safe to use in Lip Balms? " Staff Answer All of these are lip safe. "Do these powders work with cold process soap?" Staff Answer Yes, these colors can be used in cold process soap. "I have all 4 colors, and I have mixed yellow/blue to get green, red/yellow to get orange, yellow/orange for a peach. I have yet to successfully achieve a nice purple. Blue and red seem to make more of a gray, not what you would call purple. Any suggestions?" Staff Answer It is hard to achieve a nice purple color using the bath bomb red and blue. You might try using the Purple Galaxy Mica. You will get a beautiful purple with this mica powder. "Bath bombs: do you add colour in powder form into bath bomb dry mix or do you make up the colour powder into liquid and add to bath bomb dry mix with a dripper. " Staff Answer The directions for the Bath Bomb Colors can be found under the Product Details for the individual colorant. For Bath Fizzies it states to add a small amount of powder to dry ingredients. i find the color comes out best when added dry. once i have my citric acid and baking soda mixed together i add about 2-3ml of the powder and then add more if the color is too light. a little goes a very long way with this stuff! Add it dry!! A little goes a long way. It is by far the BEST colorant to use in bath bombs and gives the most consistent color! "Can I mix the blue and yellow to make a green for the Bath Bombs????" Staff Answer Yes, you are able to mix the two powders. Depending on how bright you want the green color to be, add more yellow. The bath bomb itself may be a blue color but once its in the water the bath water will turn green. *I would first test this with a small batch to get the most accurate measurement. "I guess I have two questions. First when adding the powder due you add it to the liquid phase or the dry phase for Bath Bombs? Second do these color the water after dropping the bath bomb in?" I normally add my bath bomb colorant in the dry phase if it is a powder. These colors do add a slight tint to the water but not enough to stain the tub or skin. I always start by adding some powder in the dry phase. As you begin to spritz the mixture, the colors tend to darken. If I find that I want my bombs a darker/bolder color as I go, I add a little more powder while continuing to mix/spritz until I achieve the color I'm looking for. The water will turn the color of the powder but, even when using a considerable amount of powder, I have never had staining in the tub. I always add the powdered colors to the dry phase. While most bathtubs won't stain from using this, there are some out there that will if you use a lot of color.